A new urban district is being created in London’s Canary Wharf, which when complete will feature up to 3,600 new homes, a GP’s surgery, a two form primary school for 420 children, 490,000sq ft of retail space and eight acres of public spaces squares and parks. 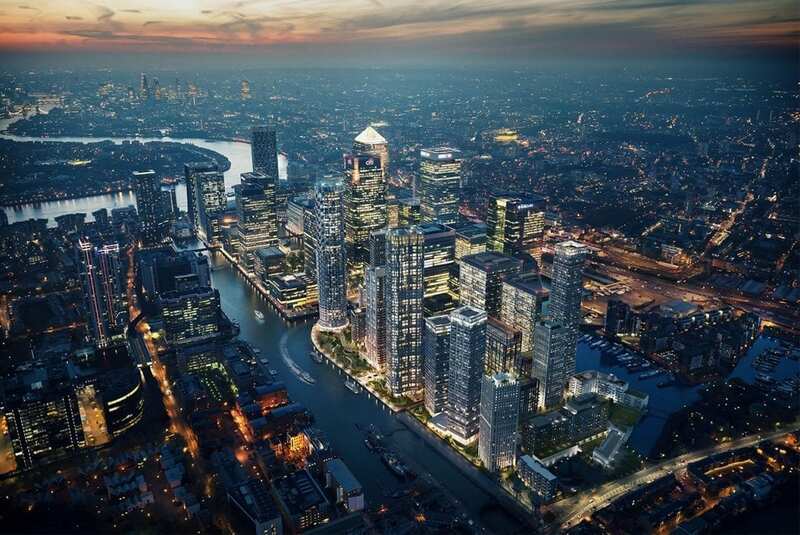 The development, called Wood Wharf, has been designed to provide a new residential led, mixed use, waterside community and is expected to be completed by 2023. The scheme was approved by Tower Hamlets Council in 2014, which described its design as “innovative”. In recognition of this innovation, Wood Wharf won the Tall Buildings category of the MIPIM Architectural Review Future Project Awards in 2014. Working with the developer, Canary Wharf Group (CWG), in combination with SES Engineering Services, Emico and Haydon Mechanical & Electrical contractors, Evinox Energy supplied heating and cooling interface units for 1330 apartments for the first phases of this development, with more to follow for the remaining phases. Homes are all connected to a district heating network, with each apartment featuring a ModuSat XR-ECO Twin Plate heat interface unit for the supply of heating and hot water and a ModuSat Single Plate interface unit to provide cooling. Interface units were tested by BSRIA as a requirement of this project, something Evinox were happy to undertake, confident the first-class product manufacturing and performance would deliver the required results. In addition to the efficient performance of the ModuSat units, Evinox equipment was also chosen due to the flexibility of manufacturing and short delivery timescales. “On-time” delivery schedules were critical for this project, as some of the equipment was being built into prefabricated pods by a third party prior to delivery to site. Our range of heat interface units are designed and developed internally by technical engineers to UK standards, and built in Evinox’s own production facility in Brasov Romania by partner Romradiatoare, using lean manufacturing principles. Working closely with component suppliers enables us to deliver bespoke units, built to project specific requirements, in a timely manner. One of the key components used in every ModuSat HIU, is the high efficiency plate heat exchanger from SWEP, who are a world-leading supplier of brazed plate heat exchangers for HVAC and industrial applications. 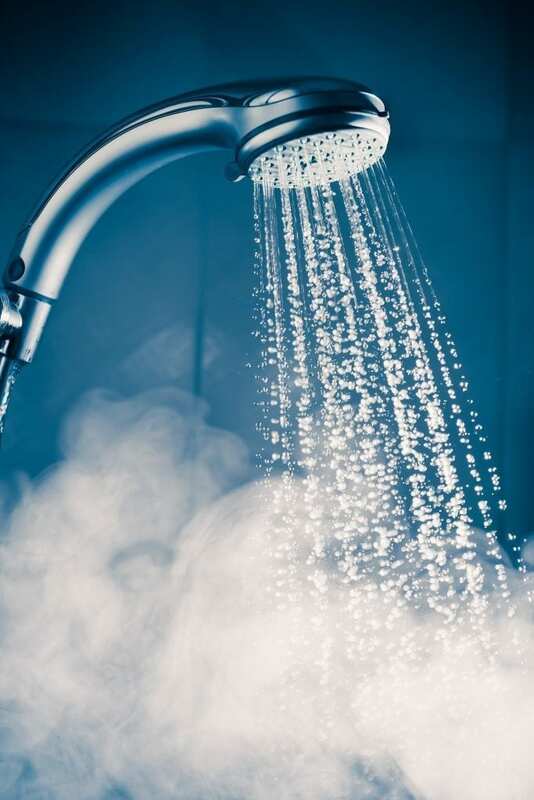 Evinox’s ModuSat XR-ECO HIU delivers impressive, ultra-low DHW return temperatures to the primary network by incorporating SWEP high efficiency domestic hot water plate heat exchangers with volumetrics that encourage turbulent flow. This contributes to excellent annual Volume Weighted Return Temperatures and system operating efficiency. 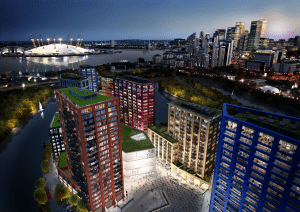 Evinox Energy are delighted to be working with Canary Wharf Group plc on the Southbank Place development. This outstanding scheme features a district heating system that incorporates a highly efficient energy centre, which will reduce the carbon footprint of the site. The District network will supply residents with thermal energy for heating, cooling and the production of domestic hot water. Southbank Place is being developed by Braeburn Estates, a joint venture between Canary Wharf Group plc and Qatari Diar Real Estate Investment Company. When complete it will feature seven new buildings including residential space, state-of-the-art offices and a diverse mix of retail. 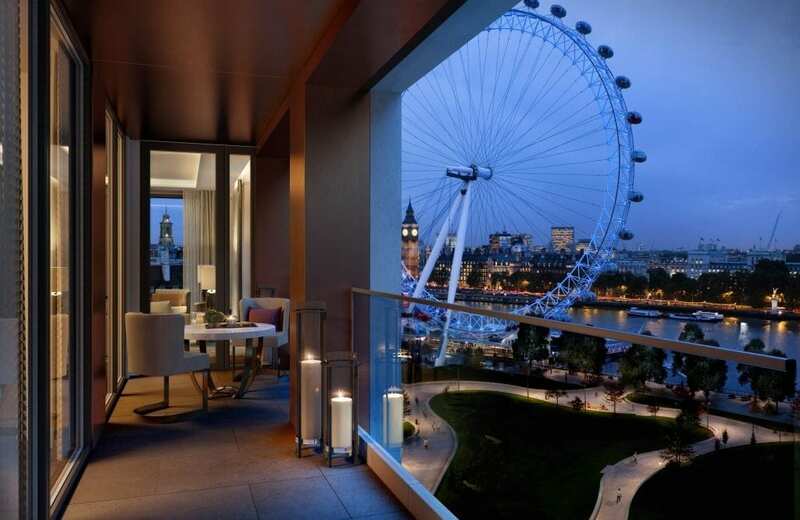 This 5.25-acre development also features the iconic Shell building and offers some of the best views in London including the London Eye, Houses of Parliament, Whitehall and exceptional vistas of the river. Evinox Energy have supplied both heating and cooling interface units, including twin plate ModuSat® XR units for instantaneous heating and hot water, ModuSat® single plate units for cooling and ModuSat® FS models that feature an integrated hot water storage tank. The Canary Wharf Group plc decided this was the ideal solution as many apartments require both heating and cooling throughout the home. The Interface units at Southbank Place feature our SmartTalk® two-way communication technology, which operates using the same hard-wired network as the metering data collection without additional costs. This enables all dwellings to be remotely metered, controlled, interrogated and tested, and enables operation and maintenance routines to be run remotely including the diagnosis of faults. The system picks up a range of alarms such as faulty components, faulty meters, high /low system pressure. By using our two-way communication system, any HIU performance check can also be carried out remotely, significantly reducing inconvenience, maintenance time and cost. 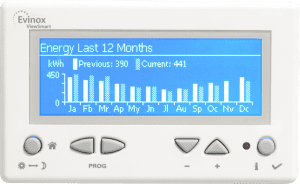 Each home also features an Evinox ViewSmart ENE3 controller, which can display all of the information required to gain credits for the Code for Sustainable Homes. This includes historical consumption data in a graphical format to enable residents to view information about their usage and compare different periods. This removes the requirement to install a separate energy display device to gain credits towards the Code for Sustainable Homes. Evinox Energy are delighted to be working with EcoWorld Ballymore and Clarion Housing Group on the London City Island development, which was recently awarded Best New Place to Live at the London Planning Awards 2017. This new neighbourhood on the Leamouth Peninsula by Canary Wharf is designed to be a ‘mini Manhattan’ and is home to 1,700 new apartments, stunning al fresco spaces, vibrant new bars and restaurants, boutique shops and waterside parks. Phase one has been completed by Ballymore and phase two will be delivered by EcoWorld Ballymore. With a focus on energy efficiency and aiming to reduce the environmental impact of the development, City Island features a district heating system, which supplies residents with thermal energy for heating and production of domestic hot water. 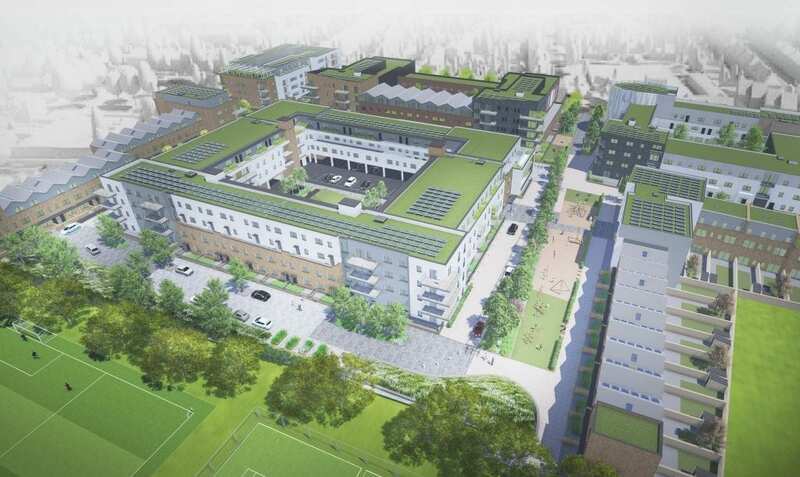 Evinox Energy are supplying heat interface units, and ENE3 room controllers for the apartments connected to the district heating network, and also metering & billing services for the social housing apartments. The 104 social housing apartments at London City Island are managed by Clarion Housing Group, and all are taking advantage of the Evinox PaySmart® Pre- payment system. Residents can purchase their energy online using our Residents Website 24hrs a day, at a local Payzone outlet, by monthly Direct Debit or Standing Order, using our Web App on a smart phone or tablet any time or over the telephone. Our PaySmart® pre-payment system provides a simple solution to meet with the requirements of the Heat Network (Metering & Billing) Regulations at London City Island. The metering and billing technology is inbuilt in each ModuSat® Heat interface unit. Not only is the technology integrated, it can also be activated remotely at any time, providing a flexible billing approach for the social housing apartments. Each home at City Island also features an Evinox ViewSmart ENE3 controller, which can display all the information required to gain credits for the Code for Sustainable Homes. This includes historical consumption data in a graphical format to enable residents to view information about their usage and compare different periods. This provides several benefits to social housing providers and developers, primarily it removes the requirement to install a separate energy display device to gain credits towards the Code for Sustainable Homes. Contact us today to find out more about our integrated communal & district heating solutions. The recently completed Kent History and Library Centre has been described as one of the most innovative in the UK, providing local people with state of the art facilities and better access to Kent’s rich culture and heritage. It houses around 14 kilometres of historic material relating to Kent, dating back to 699 AD, and is a fantastic resource for anyone interested in local history. This £27m joint scheme with Kent County Council, Bouygues UK and Warings Contractors is a mixed use development. The building provides a home for the new flagship Library and archives for the county of Kent, alongside 57 extra care apartments for Housing 21 and 60 affordable homes for West Kent Housing Association. In order to provide energy efficient, sustainable housing, the West Kent Housing Association apartment block, Tennyson Lodge, has been constructed to the very latest building standards and benefits from an Evinox communal heating system. All of the apartments are heated from a communal boiler system, which provides instantaneous heating and hot water via ModuSat Twin Plate Heat Interface Units. The Evinox Communal Heating system includes central plant equipment that operates on Biofuel and Gas. The Evinox boilers were chosen due to their excellent seasonal efficiency performance, which enabled the client to obtain extra points for BREAM certification. The Evinox ModuSat TP heat interface units were supplied with bespoke flow and return connection positions to meet the requirements of the design specification and Evinox pre-installation rigs were used to ensure installation was quick and simple. The Evinox card reader system is being used at Tennyson Lodge to control costs and ensure the system operates debt free. West Kent Housing Association decided the card reader system was perfectly suited as it provides their residents with a choice of how they pay for their heating and hot water. Tenants can purchase their energy credit from a local Payzone outlet, online via the Evinox Energy website, over the telephone or alternatively they can pay via a monthly direct debit. Meters are read remotely via a GSM modem using the Evinox BUS system. This solution also provides heat energy and mains cold water consumptions as well as flow and return temperatures from the communal heating central plant room installation to the individual apartments and the actual flow rate of the communal heating primaries into the apartment. The Evinox card reader system controls costs and therefore keeps the tariff rate down due to less administration and less debt management service being required. As a result of this the occupiers can all benefit from reduced running costs. The Housing Association also has the peace of mind that the communal system is being managed efficiently without ongoing increasing costs. The Ladbroke Grove development from Taylor Wimpey Central London, is part of the regeneration of Grand Union Centre, and includes both luxury apartments and homes for first-time buyers, close to Kensington and Chelsea. This mixed use scheme combines living and working, with office accommodation and retail units available alongside a high-quality development of apartments set around a private courtyard in W10. Evinox Energy are delighted to be working with P R Morson on this outstanding development, supplying heat interface units and metering & billing services. To reduce the environmental impact of the development, the apartments are all connected to a communal heating system, which supplies residents with thermal energy for heating and production of domestic hot water. System water is heated in a central plant room, distributed via pipework around the building and energy is transferred to residents via a ModuSat HIU. The ModuSat HIU’s at The Ladbroke Grove include both an energy meter for heating and hot water, and an electricity meter, meaning residents will be billed for both utilities by Evinox Energy. Evinox ModuSat HIU’s are supplied pre-payment or credit account ready, meaning there is no requirement for additional controls, sensors or hardware providing flexible metering options. With most modern housing schemes being mixed use, the ability to operate a part credit billing and part pre-payment system on the same scheme is extremely desirable, and providing a future proof solution is a key advantage of the Evinox system, as it can be adapted to different tenant occupations. The ability to make changes remotely provides the ultimate in simplicity and flexibility at The Ladbroke Grove. By combining smart HIU’s with excellent after-sales, end user support and flexible metering and billingservices, the building owner has a hassle-free, sustainable development and residents enjoy a fantastic place to live. Evinox Energy recently worked with Higgins Construction & Circle Housing on a development in the creative heart of Walthamstow. Banbury Park is mixed-use scheme comprising of private and shared ownership homes, with landscaped community spaces, shops, offices, a community centre and public square that will help lead the regeneration of the area. The site was a former warehouse, industrial works and electronics factory located in Waltham Forest. Evinox engineers completed a full design of the primary network for the district heating and hot water system for a complex of 6 different types of building. 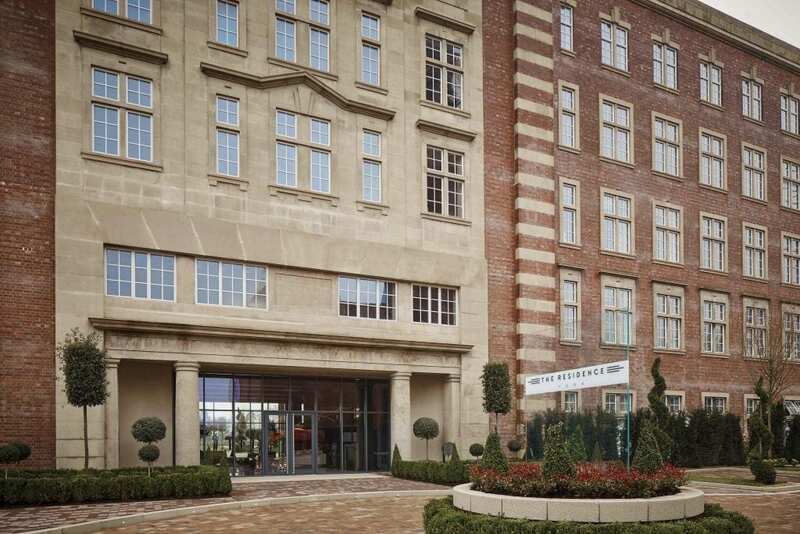 The apartments are connected to the district heat network and each includes an Evinox ModuSat® FS storage HIU to provide heating and hot water. The integrated hot water storage within the ModuSat® enables the central plant to be reduced due to the increased thermal storage facility in each dwelling. Residents at Banbury Park benefit from the Evinox PaySmart® pre-payment system, which is inbuilt in every ModuSat® Heat interface unit. The Evinox range of ModuSat® heat interface units, is the only solution available that features fully integrated pre-pay ready billing technology. This system enables residents to be in control of their own energy bills by paying in advance and therefore removing any burden of building up unpaid bills or debt. Residents can purchase their energy online using our Residents Website 24hrs a day, at a local Payzone outlet, by monthly Direct Debit or Standing Order, using our Web App on a smart phone or tablet any time or over the telephone. Together with our CHP partners HELEC, a complete pre-fabricated skid plant room solution has been provided to supply the district heat network. This comprises of 1794kW ADI CD boilers, 109kWth CHP unit with 5000 L thermal storage and Matic-Pro combined pressurisation, expansion and deaeration unit. We have been working with Bowmite Electrical & Mechanical on a new mixed use development in Walthamstow that features a communal heating system serving 80 dwellings. Unity Place is located in the Blackhorse Lane regeneration area of Walthamstow. For further information about our integrated communal heating solutions, please contact us by calling 01372 722277 or fill in our online Contact Form. MIXED-USE HOUSING SCHEME THAT HAS BEEN DEVELOPED BY FIRST BASE ISLINGTON LTD. The development consists of 119, one, two and three bedroom homes built around a new landscaped courtyard. This includes 62 homes for private sale and key workers being delivered with the HCA, the national housing and regeneration agency. A further 57 apartments will be owned by the Housing Association partner, Southern Housing Group, providing a mix of tenures to meet local housing needs. First Base chose to use the revenue management services of Evinox to provide tariff control and billing management for residents via the Evinox ModuSat communal heating system. Highbury Gardens has been designed to meet leading industry standards such as Building for Lifetime Homes and consists of robust, well-built, energy efficient buildings that are designed to have a long life. Ideal for residents seeking a “greener” lifestyle, the development meets the Code for Sustainable Homes, with 20% of the development’s energy demand being met by on-site renewable energy. Energy efficiency measures include solar thermal panels on the roof, reducing carbon emissions by 16%. Benefiting from an Evinox communal heating system, the residents at Highbury Gardens buy energy ‘on demand’ (heat) rather than ‘raw fuel’ (gas). The central boiler plant also generates less carbon emissions and uses less energy to run than the equivalent of individual gas boilers in each apartment. To control costs and ensure the system operates debt free, the Evinox card reader system is being used. The Housing Association decided the card reader system was perfectly suited to Highbury Gardens as it provides their residents with a choice over how they pay for their heating and hot water. The Evinox solution offers flexibility, with the option to Pay-As-You-Go, where tenants will purchase their energy from the local Payzone point as energy units are required or alternatively tenants can pay via a direct debit or online. The Evinox MBUS system at Highbury Gardens has been provided so that the meters are read remotely via a GSM modem. This solution also provides heat energy consumptions as well as, flow and return temperatures to and from the apartment from the communal heating central plant room installation and the actual flow rate of the communal heating water into the apartment. These temperature and flow readings provide an overview of how the system is operating and are useful for an engineer to see if the system is balanced correctly and can identify areas of poor flow or an individual meter problem without the need to visit the site. The Evinox card reader system controls costs and therefore keeps the tariff rate down due to less administration and less debt management service being required. As a result of this the occupiers can all benefit. The building owner and managing agent also have the peace of mind that the communal system is being managed efficiently without ongoing increasing costs. Highbury Gardens was awarded “Best New Place to Live” by the Mayor of London Boris Johnson at the 2012 London Planning Awards. These awards recognise planning professionals and organisations that have made a vital contribution to the capital and are run jointly by the Mayor of London, London First, the Royal Town Planning Institute and London Councils. The awards celebrate planning achievements in the capital, from iconic projects with international profile, to community scale schemes. Tenants on the Hickman estate in Wolverhampton are benefiting from a £12 million investment as part of the Wolverhampton Homes Decent Homes programme. The two high rise blocks on the estate, Wodensfield Tower and William Bentley Court, are currently being completely refurbished and will benefit from the installation of an Evinox communal heating system in each block, which is more energy efficient than individual boilers. The Evinox communal heating systems include ModuSat heat interface units providing accurate metering of energy consumption for each tenant and a billing facility. The Modusat units are powered by central boiler plant equipment located in plant rooms sited adjacent to the high rise blocks. The motivation behind Wolverhampton Homes choosing Evinox for this project was the invaluable M&E support and design input that has been provided. Evinox engineers have completely designed the system from sizing the heating and hot water outputs required for each apartment, the pipework system and routing, pumps and flow rates required to circulate the primary energy and the power required in the plant room to drive the system. This has reduced cost and ensures that the correct heating systems have been specified for each block. Another key consideration was the ability to source the central plant equipment from the same supplier as part of an integrated package. Two Evinox ADI CD packaged boiler skids were chosen for each building, which due to their compact design and the ease and speed of installation removed the need and cost of a temporary boiler house. The pre-packaged skids contain 400kW Evinox ADI CD boilers which provide excellent seasonal efficiency performance and extremely ecological combustion with impressive class 5 NOx figures of < 10ppm and CO around 47 ppm, the skids are also fitted with Pressosmart pressurisation sets and AnoPro corrosion protection. By installing communal heating at Wodensfield Tower and William Bentley Court, it removes the requirement for high rise gas infrastructure throughout each building and the associated risks that come with this. 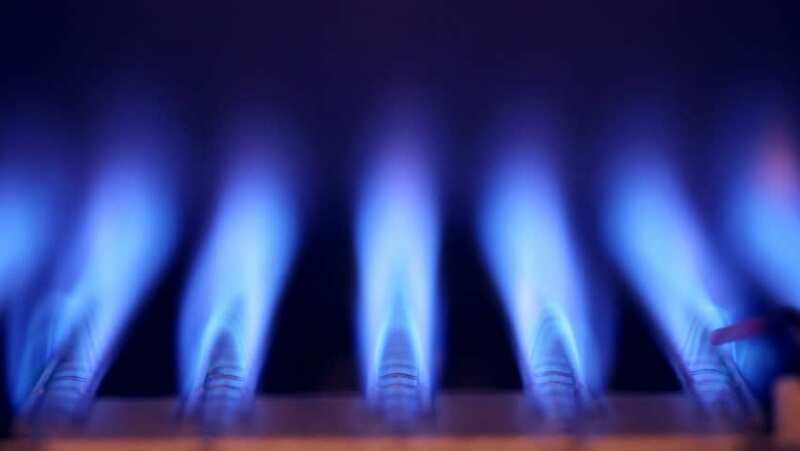 There is also no requirement for individual boilers in each apartment, which reduces the risk of carbon monoxide poisoning and the need for annual gas inspections. The removal of the boiler flues also improves the aesthetics of the buildings. The Modusat heat interface units in each apartment include an integrated energy meter, which accurately records the energy consumption in each dwelling, and ensures that residents only pay for the proportion of energy that they use. Wolverhampton Homes have decided the Evinox PaySmart™ metering solution is perfectly suited for their residents at Wodensfield Tower and William Bentley Court. The PaySmart™ system enables residents to be in control of their own energy bills by paying for the energy as they need it and therefore removing any burden of building up unpaid bills or debt. This solution also takes away the collection of money by the Housing Association.